We shifted to AWHO from other NCR and made a visit to your school. The interaction with the principal and your staff made us very satisfied. Being inside the premises also made us feel very secure and relaxed regarding our child. Our professionalism and efficient management is another high part..My child really began to gradually enjoy her school and made friends with their children. The school teachers are very caring which was reflected in my child's enthusiasm and joy towards various activities in school. Her school teacher "Aarti Madam" was her favourite and she made my child feel positive and good about herself with various class work and homework activities. Overall my child has grown happy and confident..Yes, very good, positive and heartly overall development effects on children and their growth..I would definitely suggest my peers and friends. Thank You. According to me so many parents refer me to Little Angels because I want the school nearest to my house. I always ask from the parents about the schools in the society they always referred to me this school..My child is a new admission so I can't able to say so many things but yes, he has improved a lot because of the class teachers cooperation and hard work towards my child..I am satisfied with the curriculum but activities and implementation of the overall program in the school I am not satisfied activities should be more innovative and all the children should be on the stage should learn how to speak on stage and also be Fearless about stage activities. Little more open up the children..I likely would recommend it to other parents. Because it satisfied me and any parent would ask from me I would recommend to them very happily. First of all, the parents already sending their child in little angels gave a good feedback and secondly it was near to us in our society only..Our child is now Frank and is able to speak with everyone very frankly. She has also developed her writing skills..Yes, we are satisfied with the curriculum, activities etc. Our child is very Happy studying in this school and has learnt many new things Academically as well as other areas of learning..It is a good school. We are happy sending our child in this school. She doesn't complain to go to school ever and always wants to go to her school little angels. The school is situated in AWHO society area and near to my residence (1 k block) in AWHO GR. Noida. The school cooperated with us till the child settled in the school..Interact in going to school. Learning alphabets, counting, colouring etc...Definitely, I will recommend other parent residing in AWHO to avail the facility of a good school situated within their campus, very much suitable for their children of below 5 years age. Moreover, the school is best for the children going first time to school as the school provides all cooperation for adjusting the child in his her initial days in school. First would be the proximity of the school to our homes. Second would be the relaxed attitude towards children, parents, fees and timings- you guys are not stringent that is the best about your school..Overall development I see in Tanya is very encouraging for us and we are very happy about it. She has become confident and much better at communicating herself. Academically also she has improved a lot..Yes I am happy with the activities, curriculum and implementation, very much satisfied..I have recommended the school to so many people's already and would keep doing so in future. All the best. Little Angels was recommended by many guardians. They were satisfied by the kind of environment kids are getting in school, so I chose the school according to the feedback given by them..My child is actually getting sincere after joining school, I can see lot of good habits in her, learning new activities and rhymes..Yes, I am satisfied with the curriculum activities, but little more fun and outdoor activities will boost the overall program in the school..I would recommend other parents in a very positive way, infact on my recommendation other planets have already made admission. The environment is amazing for children. School is full of wonderful fun toys and activities which encourage kids for learning. Such things made me choose this school for my 'angel'..She has been developing very well in speech and language, creative play. She comes home with new words and is starting to string words together..Yes, I am satisfied with the curriculum, activities and implementation of the overall program in the school..I recommend Little Angels to other parents enough because of helpful faculty and brilliant equipment inside and out. It is very near to our house. We have only two options in AWHO hence choose little angels because of close proximity. Now I am thinking that our decision is correct as we are happy with curriculum and activities..Now she can recognise colours, alphabets, numbers. She started dancing also and is now taking interest but still she talks very less and slow (main point)..Yes, we are very much satisfied..Sure, I would like to recommend to my colleagues, friends. Even now also generally I ask my acquaintance to put their kid in little angels. Personal care of each child. Better communication system. Wide range of activities for development of child skill and interest..Development in communication. Reciting rhymes. Showing new dance moves. Moreover, my child is very much interested to go to school..Yes very much satisfied. The curriculum is very much activity based which improves child's mental and physical abilities. My child has learned the hands and eyes co-ordination..I will surely recommend to other parents as little angels is one of its kind pre school. 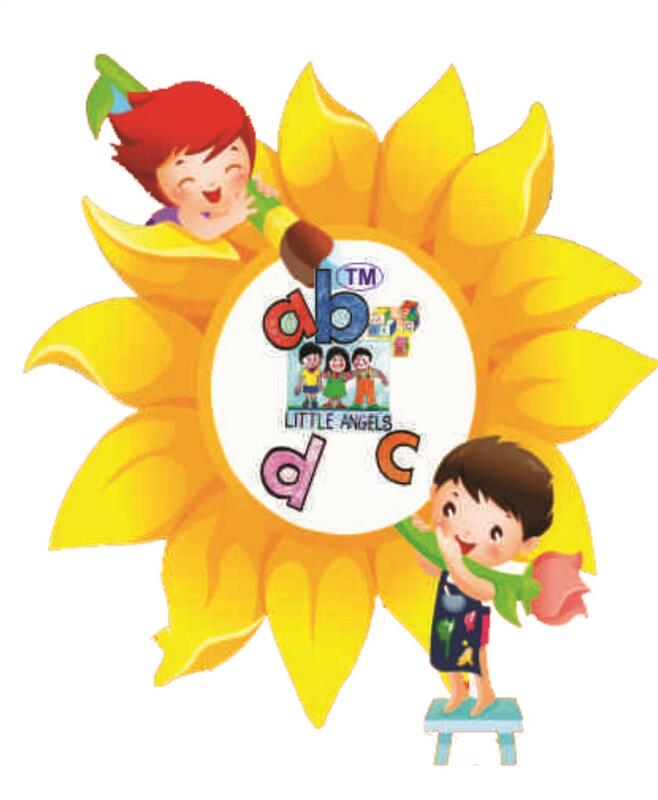 Little angels is close to your place..After joining Little Angels, she has became more communicative and tries to express and learn new things. Apart from curriculum she has learn various things..Yes, we are satisfied..We will highly recommend to other parents as little angels focuses not only on curriculum but also on various learnings so that the child can fully learn and be confident. Also teachers are very talented. Personal care and attention provided to each and every child in Little Angel school sets it ahead of others Play Schools..Award child god good learning, better communication, confident..The extra activities needs to be Limited, as it put extra burden on parents to arrange dresses every other day..Yes of course would like to recommend it to other parents. My elder daughter already studied here so I was quite content. I satisfied with her performance in school..He couldn't speak when I got his admission done but now he knows counting, colours and starts speaking, communicating very well. Happy with the performance...I have already recommended to many parents and they actually happy with the decision. Nice behaviour of staff and caring (house-like) environment. Attitude of top management towards feedback is quite positive..Child is being groomed on various activities, rhymes and listens to stories. Frequently engaged in ears art and craft activities..Yes. Quite a lot..Definitely I have recommended to many and which surely keep doing it. It was near to our house and had good experience in the summer camp..She has learnt basic around studies and playing with other children and started dancing..Somewhat satisfied as child has started learning few things. Child has become more stubborn now, so teacher should walk on that..I would recommend It To The Other parents also. It's pretty near to our home so we can easily visit the school whenever we want. the school staff is quite supportive as well and help us grooming our kids in the most efficient manner..She should be good at her studies. She should be motivate to work hard...We will definitely try and recommend Little Angels school to our near ones. Within the same society. Positive feedback from neighbours. Decent students strength (not overly crowded classroom). Child care and security is good..Improved confidence level. Developed better stage presence. Participation in extra curricular activities....Have already done that. Look forward it to do the same in future as well. 1. Little Angels is nearer to me. 2. All give good feedback about little angels. 3. Little Angels having good and hygienic daycare..1. Learn new things. 2. She can understand concept by playing (unique method). 3. Little bit clear in speech..Yes, till now I am satisfied..Yes, I will definitely recommend little angels to others. 1. School is near to my house. 2. Fee structure is reasonable. .1. Child has became more active and confident. 2. Speaks and participation is activity confidently..Curriculum and activities are according is the requirements..I will recommend little angles to other parents for the good of their child. Easy to commute. Recommend school in Greater Noida especially AWHO..Started speaking Hindi Language and speech improved. Started writing...Recommended my relatives and friends. Because of courteous, simple and helpful teachers. They understand kid's psychology and take care of them nicely. Proximity to the school from home. Growth of child towards the intellect and physical fitness. Overall growth is good. Tachers are good and focus towards crafts and other activities..Improved in oral communication..Curriculum should be improved. Focus on each child is essential..Very good. I heard good feedback about the little angel in the society as comparison to the other Play School..Now he is more confident. He explains better about the things...Definitely I will recommend little angel for other parents. Staff and securities good and it is very important in itself. Its environment and connect with teachers & students is far better than MOUJ PLAY SCHOOL. No show off only. Hard work with student. I am happy..Everything is activated in respect to senses, education loves.All well..I am happy to recommend to all friends etc. Good curriculum and location of school..Increase in communication skill. More expressive..Yes, satisfied. But during outdoor activities my child was bitten by mosquito, it should be made safe by taking precautions..Almost recommend all the pre schooling kids. Got good feedback about little angel where child is in good and healthy environment..Improved child's behaviours...We are expecting that videos to be shown regularly it gives direction and satisfaction to parents to improve home environment. It is very nice and near to our house. It helps the child to learn new things..He has become quite and communication skills have been improved..Yes, we are satisfied with curriculum..We would like to recommend to many parents we know. It's good opportunity near to my house..He likes to go school..Yes, but if it is possible some outdoors activities like picnic, cricket etc. should be added frequently..I would recommend it positively. It was nearest school from our place..She started taking interest in dancing...I have been associated with other PG around and in the society. I felt little angels better than them. Within AWHO society and close to residence. Got positive feedback from colleagues..Ahaan started talking, dancing etc. post going to school...Sure, will recommend colleagues. The child was admitted to Little Angels as the mother got employed by the school..Since it has been only a month, there is no major development in the child...Highly. Due to distance and environment..More active and speaking..Curriculum looks Ok. Only the thing, we found Hindi language learning is not there..Friendly behaviour. Because of my past experience with my relative kids..It's only two month a short time to comment on changes...I would certainly recommend. Pleasant and comfortable atmosphere for child.Socializing, stage fear has gone. She is making friends. Cleanliness and vicinity to home..Improvement in speech and food habits...Very likely. Go east Go West , little angels is the best.